Providing an arsenal of models to choose from, the BP90 features DigiTech's exclusive tone and effect libraries that enable easy programming. Completing the processor, there are a host of aggressive sounding presets that appeal to modern players of all skill levels. Offering 27 effects, 11 amps, five cabinets, and five stompboxes, the BP90 takes bass tone to new levels. The BP90 also features 100 preset locations, 40 high-quality drum patterns to practice with, built-in chromatic tuner, and headphone jack for silent practicing. The expression pedal gives real time control over wah, volume, and DigiTech Whammy® effects. 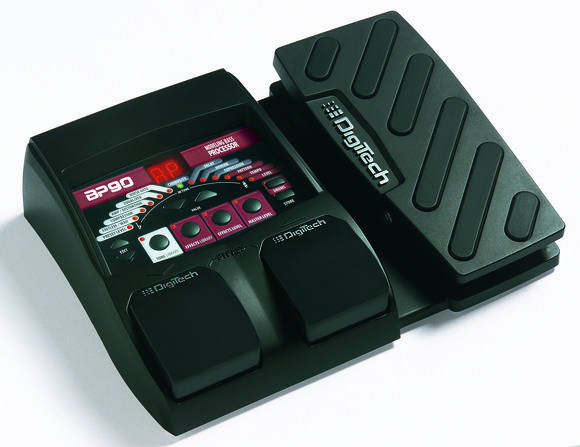 "DigiTech invented multi-effects in 1988 with the DSP-128 and has been the Multi-Effects leader ever since. Today, we have reset the standard with the BP90, which is representative of our commitment to continuous innovation with our entire DigiTech lineup," stated Rob Urry, president, Harman Music Group. The BP90 will be shipping in July 2010 with an MSRP of $139.95. DigiTech is a unit of Harman International Industries, Incorporated (www.harman.com). HARMAN (www.harman.com) designs, manufactures and markets a wide range of audio and infotainment solutions for the automotive, consumer and professional markets -- supported by 15 leading brands including AKG®, Harman Kardon®, Infinity®, JBL®, Lexicon® and Mark Levinson®. The Company is admired by audiophiles across multiple generations and supports leading professional entertainers and the venues where they perform. More than 20 million automobiles on the road today are equipped with HARMAN audio and infotainment systems. HARMAN has a workforce of about 11,000 people across the Americas, Europe and Asia. The Company's shares are traded on the New York Stock Exchange under the symbol NYSE:HAR.